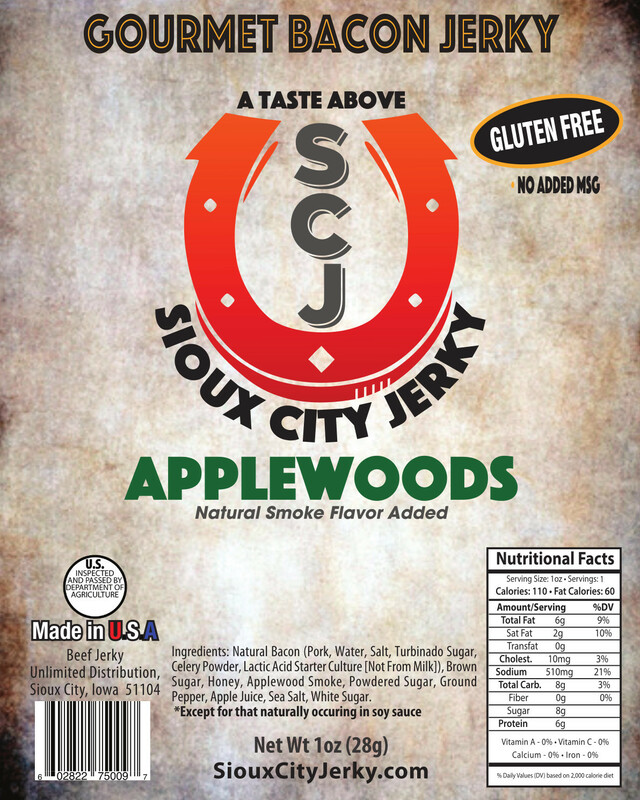 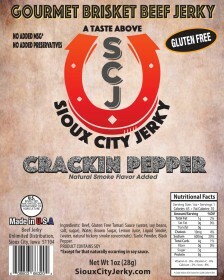 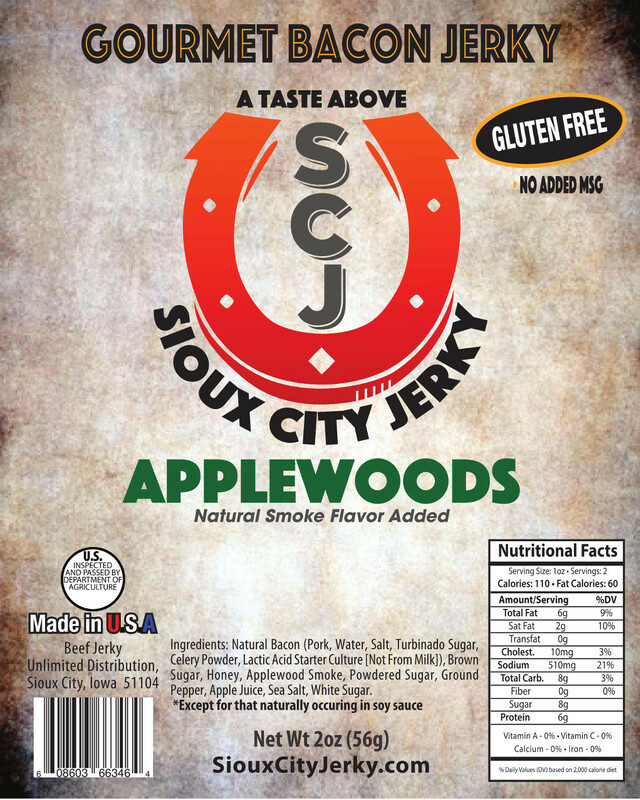 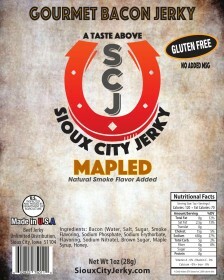 A gentle flavor building to an unexpected delight of fire in your mouth.Gourmet Beef Jerky made in t.. 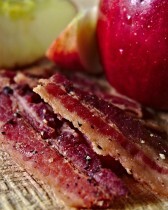 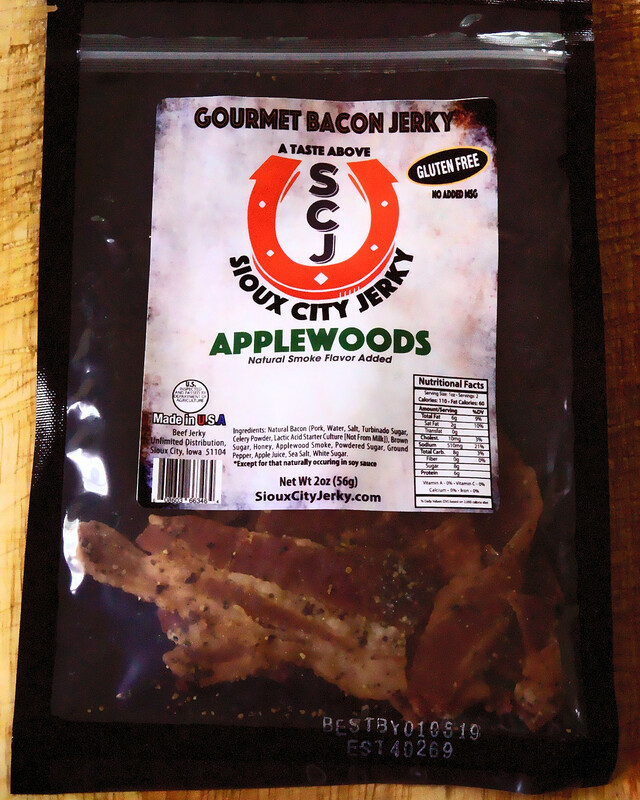 The savory taste of BBQ engulfs this bacon jerky. Bacon is not just for breakfast anymore.Gour..
A gush of rotating flavors providing your taste buds a combination of pineapple, mango and ter..
A sweet delight matched with the taste of apple woods smoked flavor. 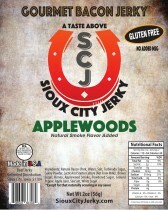 Imagine the taste of a steak pulled right off of the smoker. Gourmet Bacon Jerky made in the USA. 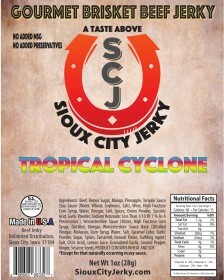 This product has been purchased 28 times.